Many accidents occurring on U.S. roads can be attributed to negligent driving. One such type of accident that causes a large number of injuries and fatalities each year is improper lane change accident, which is caused when a driver departs from the lane of traffic. Accidents caused by improper lane change occur frequently across the U.S. When a car or another motor vehicle switches from a lane or roadway, they may fail to notice other motor vehicles on the road. As a result, drivers in the adjacent lanes are cut off at high speed and this can be extremely dangerous. A lane departure accident is basically a non-intersection accident that occurs after a motor vehicle crosses a center line or edge line, or exits from the road or lane that they are traveling in. Such accidents often occur on main roads or highways where drivers travel at high speeds. Due to the high speed of the motor vehicles involved in such crashes, the impact of the collision can be devastating. It has been seen that accidents caused by improper lane change are often quite serious and account for a majority of fatalities occurring on highways. Statistics too paint a grim picture. Failure of drivers to stay in their own lane causes as many as 17,000 deaths every year. 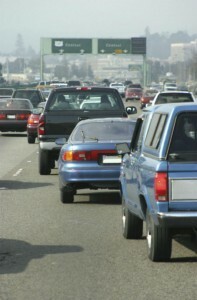 Lane departure accidents account for more than half of all fatal accidents occurring in the U.S. The worst type of accident caused by the failure of drivers to maintain lane are head-on collisions. Accidents can occur in many different ways and all of them are equally devastating. What Causes Fatal Improper Lane Change Accidents? Although head-on collisions are the most common type of crash caused by improper lane change, there are other types of accidents that pose a risk of severe and permanent injuries and even death. A driver changes lanes without noticing or taking into account blind spots on the highway, cutting off drivers in the other lanes at high speed and causing a rear end collision or hitting the motor vehicle laterally. A driver nearly misses an exit and crosses over to the right lane all of a sudden, side swiping the other vehicle that comes its way in the other lane. A driver swerves into an adjoining lane, causing another driver in that lane to swerve to avoid an accident and collides with the concrete shoulder. If you have been injured in an accident caused by negligent driver, contact The Hoffmann Law Firm, L.L.C. at (314) 361-4242.